A Chinese flotilla has arrived off Russia for exercises in the Baltic Sea. The Chinese contingent, which conducted live-fire drills in the Mediterranean last week, includes a Type 052D destroyer, a frigate and a support ship. The exercises, dubbed ‘Joint Sea 2017’, will last for a week and be run out of the Russian city of Kaliningrad, an enclave wedged between NATO members Poland and Lithuania. The exercises come amid heightened tensions in the region, and concerns about the defensive capabilities of the Baltic NATO states. On 22 July, the US commissioned its newest aircraft carrier, the USS Gerald R. Ford. The launch was accompanied by great fanfare. However, President Trump had previously voiced concerns about the new electromagnetic aircraft launching system installed on the Gerald R. Ford and planned for the USS John F. Kennedy. The president expressed a preference for the older style steam launchers over the newer electromagnetic launchers. 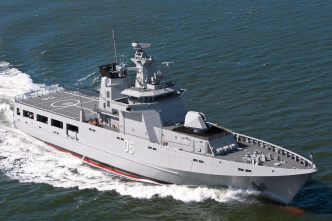 Closer to home, BAE, a British company bidding for Australia’s SEA 5000 future frigate program, has expressed interest in using an Australian shipyard to take advantage of export opportunities. 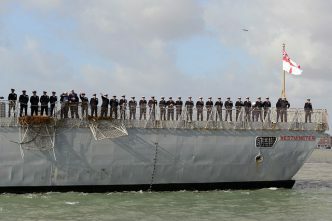 The steel cutting for HMS Glasgow, the first of BAE’s Type 26 frigates for the Royal Navy, began last weekend. The US Air Force is preparing to conduct several experimental flights of OA-X (light attack) aircraft in New Mexico next week. The experiments will involve at least two major aerospace companies, Textron and Sierra Nevada Corporation (SNC), which are vying for the top prize of a possible 300-aircraft contract. Textron will supply two aircraft, the Scorpion Jet and the AT-6 Wolverine Turboprop. The A-29 Super Tucano, a dual effort by Brazilian firm Embraer and Nevada-based SNC, is sure to be a contender, considering that it’s ‘the only light support aircraft in the world with a USAF military type certificate’. 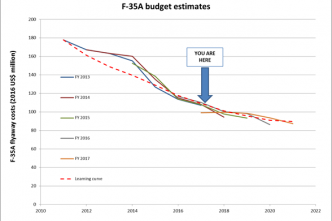 The USAF has been forced to investigate oxygen supply issues with the A-model F-35 joint strike fighters. Pilots have been experiencing choking sensations midflight, dating back to 2011. Brandi Schiff, a spokeswoman for the joint program office, told DefenseNews last week that the program will make amendments to the onboard oxygen generation system, but couldn’t confirm whether the system was to blame. The issue echoes similar problems in the past on the F-22 Raptor. On a lighter note, aviation fans were delighted last Friday when NASA’s Armstrong Flight Research Center uploaded hundreds of test-flight videos to YouTube dating back to the mid 1940s. Wired has put together a list of some of the best. Lacking skills in urban warfare, the Philippines military might request training by Australian forces to help in its fight against ISIS-linked rebels in Marawi City, now into its third month. Having already conducted P-3 Orion spy aircraft missions on the request of Manila, the training of soldiers would be a next step for Canberra. While ‘no formal request has been made’ yet, Filipino military personnel have publicly underlined the vast experience that Australian forces have gained in training soldiers in Iraq and Afghanistan, which would benefit the troops fighting in the country’s south. The Small Wars Journal is looking at the ‘interconnected, multi-domain battlefield of tomorrow’. Advanced technology and digitalisation will require militaries to adapt strategies to increased speed, increased data-gathering, increased cognitive load on personnel, and increased use of artificial intelligence. The 2017 Talisman Sabre exercise is coming to an end after almost a month of Australian, New Zealand, Japanese, Canadian and US military forces exercising together near Rockhampton. The exercise is held biannually to improve ‘combat readiness and interoperability’. This year more than 30,000 troops were involved; an Australian Army video summarises the activities. Ever wondered which tanks are the most lethal in the world? Here you go. The US Missile Defense Agency will test the Terminal High Altitude Area Defense (THAAD) system early next week from the Pacific Spaceport Complex in Alaska. 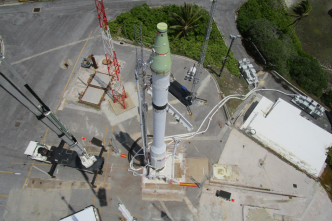 It will be the 15th test of the system, which has a 100% success rate and is currently deployed in Guam. The system operates by tracking incoming ballistic missiles by radar and then intercepting them—in other words, missiles versus missiles. The South Korean president Moon Jae-in halted deployment of THAAD in Seongju last month, much to the delight of China, and to the dismay of US allies. GPS turned 40! On 19 July 1977, an engineer for Rockwell Collins, David Van Dusseldorp, picked up the first-ever signal from the world’s first GPS satellite, NTS-2. The GPS receiver was huge, standing at six feet tall, and had seats for two operators. It took a while, but eventually GPS technology reached consumers—liberating us from our dependence on street directories. Thank you, David. 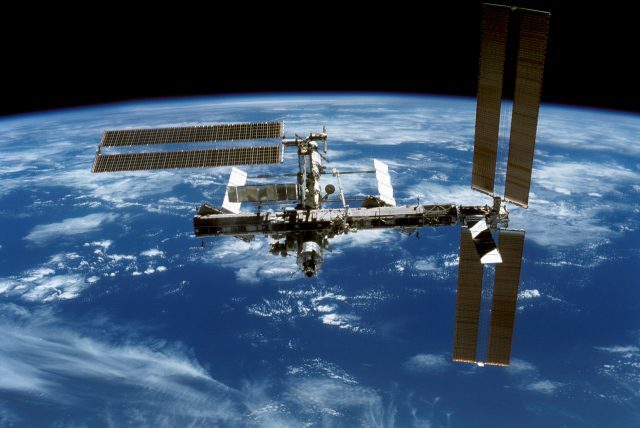 Tune in this Friday at 10.45 am US EDT (GMT –4) to watch NASA Television’s coverage of the launch of three International Space Station astronauts. You can see it all, live, at this link. If you can’t wait to get your space fix, then check out the ISS live feed on YouTube for a beautiful perspective on our planet. 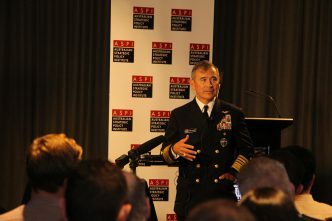 Jack Viola, Eliza Chapman, Jacqueline Westermann and Harley Comrie are research interns at ASPI. Image courtesy of Pixabay user skeeze.